The April 2013 Scanfest will take place here at AnceStories this coming Sunday, April 28th, from 11 AM to 2 PM, Pacific Daylight Time. I'm excited to announce that once again, the Clark County Genealogical Society has asked me to be their speaker for their Spring Seminar. I'll be speaking on three aspects of social networking--blogging, Facebook, and Pinterest--as well as finding online resources for tracing your Northwest ancestors. This seminar will be held at their facility at 717 Grand Boulevard, Vancouver, Washington from 9:00 AM to 4:00 PM. You can pre-register this week at that location; walk-ins are also welcome and the doors will be open at 8:30 AM for registration. Bring your own sack lunch. For more information, see the CCGS's home page here. You can read my post on last year's seminar here. 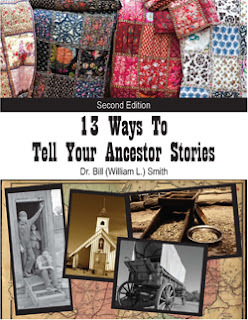 Today I'm honored to have Dr. Bill Smith of the Dr. Bill Tells Ancestor Stories blog share his guest post as part of his Book Blog Tour for the publication of the second edition of his eBook, 13 Ways to Tell Your Ancestor Stories. As part of the book tour, I'm happy to host a book giveaway! To participate, please leave your name and email address in the comments. These will NOT be published on the internet, but will be sent to my email address. 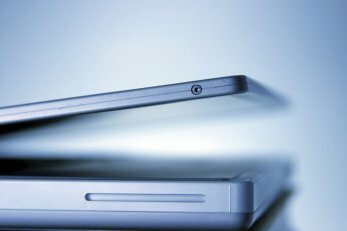 If you wish to leave an additional comment regarding the post for publishing without your name and email address, feel free. I will publish those. The giveaway will end at midnight, PDT on Tuesday, April 2nd. Thank you for the opportunity to share some thoughts about 13 Ways to Tell Your Ancestor Stories, 2nd Edition. My primary interest is encouraging everyone doing family history and genealogy research to share their findings. The workbook shares 13 different ways to tell your stories and provides a worksheet for each of the ways to help you be more effective in your sharing. Blogs, like this, are one of the ways, of course. But what do I have to tell, you may ask. Let's talk about that briefly. You have two parents and four grandparents, if you are normal. However, who among us is normal? Chances are, your personal situation will have some variances even among these 'six' people - I'll bet there is a story or two there. We each have eight great-grandparents and sixteen great-grandparents. Do you know all of them? You very well may, but I will suggest that most of your family members do not. A story opportunity. Where did they each live? How did each of the couples get together? What did they do? How did they get there? Did they live in the city or on a farm or ranch? How much education did they each receive? Where and how? What religion were they affiliated with - or not? What impact did it have on their lives. How many different occupations were represented in this group? You do have stories to tell! My wife and I have found two aspects of family history stories where many great stories reside: 1) aunts and uncles, and 2) the women's side of each couple. In years past, children often spent time with aunts and uncles - often on the mother's side of the family. Some were even raised by them. If you don't know a lot about the mother's side, her siblings and their spouses, you are missing many great stories. Has this been your experience, as well? If you are still getting started, don't miss this very special set of folks. It may take a little more digging, but it is always worth the effort.